CMR (Cellule Matériel Radié) the unit within SNCF Infra responsible for withdrawn and historic rolling stock has recently outshopped BB 67613 in the red livery previously used for the Paris - Toulouse 'Le Capitole' locomotives and rolling stock. The work was undertaken at Nevers depot and a bogie utility van has also been repainted in the same livery. BB67615 is expected to follow in the new livery. In the past it has been the practice to repaint CMR locomotives in their original livery. CMR has a wide-ranging remit in relation to withdrawn and historic rolling stock. In addition to the movement of withdrawn stock for disposal it is also responsible for protecting stock from vandalism and squatters, providing logistical support to historic and cultural events including 'Journees Europeenes du Patrimoine', logistical support for specials with steam and other heritage rolling stock, movements for Cite de Train and movements of some specialist Infra equipment. In 2018 it provided the traction for the Train Touristique des Gorges de l'Allier using the historic rake of coaches from Trains à vapeur en Auvergne. The CMR locomotive fleet consists of BB 25236, four BB 63500, BB 66170, A1A 68081 and fifteen BB 67400s. It does not include the three CC 72000s that are in the AEF pool. On Thursday 22nd January 67613's first operational duty in its new livery was to haul five withdrawn BB 9200s (9273, 9254, 9231, 9245 and 9282) from Sotteville that were being transferred to Baroncourt for scrapping. Ironically BB 9282 had carried the red livery between 1960 and 1967 when it was employed on the 'Le Capitole'. The convey is seen opposite waiting to leave Sotteville Yard. Despite the delivery of large numbers of Francilien, Regio 2N and Regiolis units BB 67400 diesels and BB 17000 small electrics are still operating out of Paris termini in 2019. In recent weeks 17053 and 17075 have worked virtually every day. a testament to their reliability in the 52nd year in service. Strasbourg remains the other centre for vintage traction with half a dozen BB 25500s covering Saverne and Selestat services and two or three BB 67400s operating in the rush hour. Locomotive hauled - What is likely to go next? 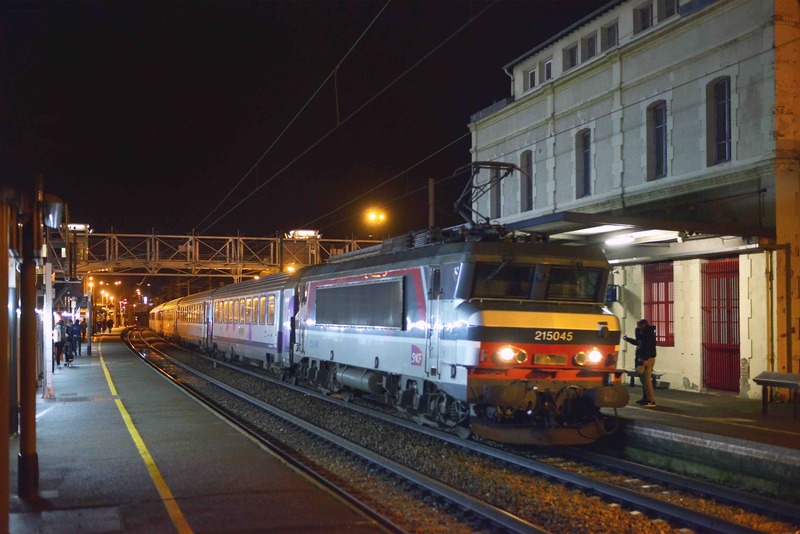 With the demise of the Paris - Montlucon services in December the next route scheduled to lose it's locomotive hauled services is Paris - Amiens - Boulogne, including the last remaining mainline diesel hauled section between Amiens and Boulogne. Ten bi-mode Alstom Coradia in TER Regiolis configuration are scheduled for delivery, and Hauts de France TER have been promising a new timetable from September with the re-introduction of Calais - Paris services via Amiens. However, there appear to be delays with Regiolis units and a number expected to be delivered in 2018 have yet to materialise. Of the three ordered for the Bourges - Montlucon connection only one had been delivered by December. The three units ordered for the Cevenol have have been delayed by Occitanie Region until December 2019 in order to complete the new maintenance depot at Alès and upgrade the line from Nîmes to Langogne. At the beginning of last year Grand Est announced that it was ordering six more Coradias, one in Regiolis TER configuration and five Intercite Liners. Delivery of the Liners was meant to be expedited to cover the re-introduction of the Paris - Strasbourg semi-fast service in December. 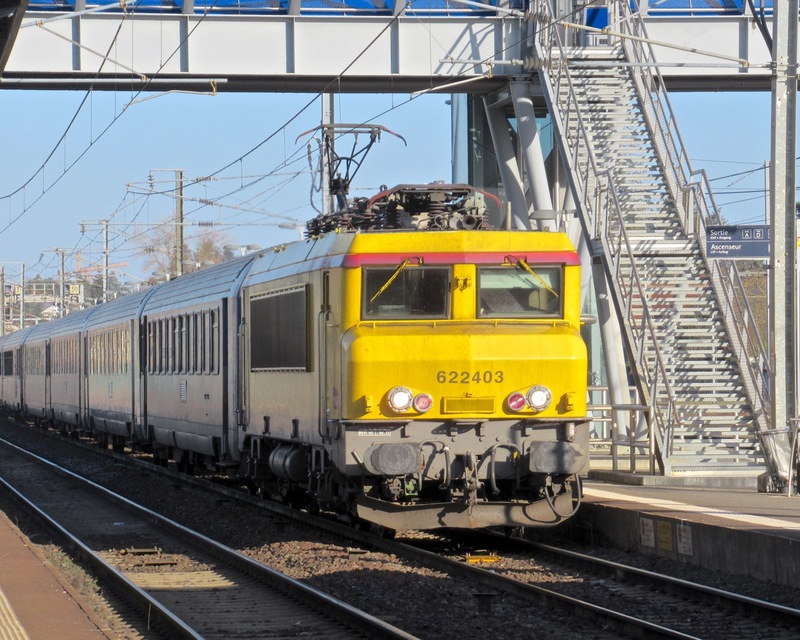 Instead Grand Est TER took on six more BB 26000s (26158 - 26163) with the Conseil Régional Grand Est agreeing last October to meet the cost of push-pull conversion with the intention of also replacing the BB 15000s on the remaining Marne la Vallée hauled services by 2020. Availability of the 19 Class B85000 Liners employed on Line 4 from Paris Est - Troyes - Dijon/Belfort services has been lower than expected with the retention of AGCs on some services and overcrowding between Paris and Troyes when only one Liner has been available; a single six car unit having the same capacity as four corails.The unions have also raised problems with fuel capacity on the Belfort turns. Delays to the Troyes electrification contribute to this problems with most of the journey to Belfort requiring diesel power. In an attempt to improve reliability during the week of the 14th January all 19 units were scheduled to be taken out of service to have their software replaced. Rolling stock shortages were envisaged during this period, particularly as the old and new software versions were not compatible and would not work in multiple. Perhaps once the availability problems have been resolved, and the new Liners delivered, sufficient AGCs can be released to replace the BB 67400s at Strasbourg and on the Ferté-Milon service. The next major changes will take place with Bombardier Omneo Premium units, the longer, faster (200km/h) and possibly more comfortable version of the Regio 2Ns, similar to the ZL V200 units delivered to Centre Val de Loire. These are being funded by the Government as part of the agreement with individual regions to take over Intercite services. Forty Z56600 units are on order for Normandie Region for the services from St Lazare to Cherbourg, Deauville, Caen and Le Havre. The first arrived at Caen in August 2018 for route testing. A new maintenance depot is being constructed at Sotteville. Certification for commercial service is expected in November 2019. 27 units are scheduled for delivery during 2020 and the remaining 12 units in. 2021. This order was followed by 32 units for Centre Val de Loire Region for the service to Orleans, Bourges and Tours from Paris Austerlitz. These are scheduled to enter service starting from April 2020. Finally 19 units are on order for Hauts de France for Maubeuge, Cambrai and Amiens services. These are scheduled for delivery between Dec 2022 and May 2023. They will work alongside Hauts de France existing Regio 2Ns and bi-mode Alstom Regiolis units. In December 2018, Bourgogne Franche-Comté (BFC) council approved plans to replace the aging fleet of Corail TER carriages with new Alstom Regiolis emu's. According to the press release, the fleet totals 174 Corail carriages that are organised into 13 push-pull sets of 9 carriages including driving trailers and 5 sets of 4 carriages. The sets are operated with 19 BB 7200 mono voltage locos (1500v) and 7 BB 22200's dual voltage locos. The locos and carriages date from 1978 - 1983. Stage 1. Modernisation of the Dijon - Besançon and Lons - Lons le Saunier - Belfort services. Currently 5 short carriage sets with BB 22200's are still in service. They will be replaced by 6 new Regiolis 4 car dual voltage emu's in January - June 2020. They were ordered in December 2017. By mid 2020, a total BFC fleet of 24 short Regiolis emu's will be in service in BFC. Stage 2. This stage concerns the TER services between Paris-Bercy - Dijon - Lyon Part-Dieu. BFC operates 8 reversible Corail rakes of 9 carriages with driving trailers and BB 7200's (a total of 86 carriages and 10 locomotives). BFC has chosen to order Alstom Regiolis units and not Bombardier Regio 2N double deck units. Early in 2019 an order will be placed with Alstom for 18 Regiolis 6 car dual voltage units. They will have 355 seats in 2+2 open carriages. The seats will be the "Coradia Liner" intercité type. There will be no 1st class. The new emu's will be generally used in pairs with 2 units in reserve/maintenance. The units will be purely electric and not bi-mode. Delivery is expected between April 2021 and April 2022. Stage 3. 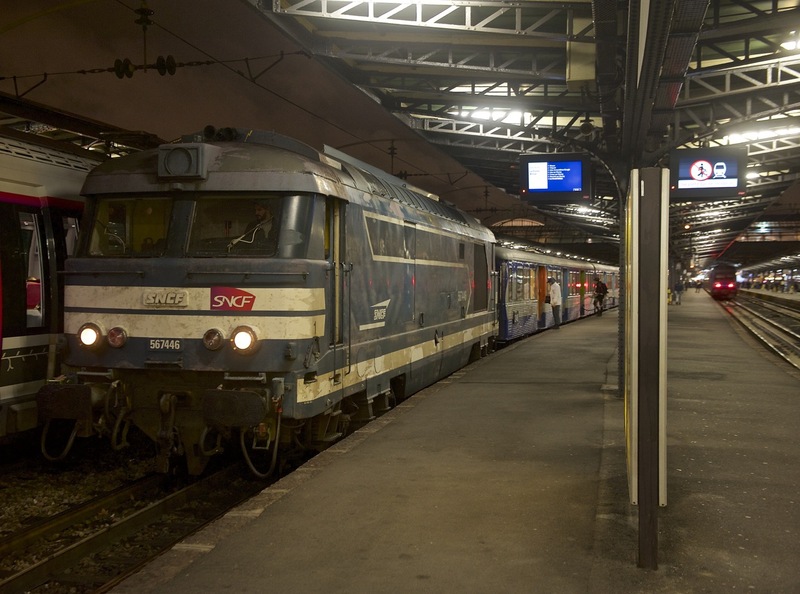 BFC operates services between Laroche-Migennes - Sens - Paris Gare de Lyon. There are 5 reversible Corail sets of 9 carriages with BB 7200's. A study has been initiated to choose the replacement material. Possibly Bombardier Regio 2N units to match those in service between Montereau and Paris ? Above: Passing Montgeron-Crosne under the rusty 1500v catenary infrastructure, a Dijon - Paris-Bercy service on the up line with BB 7319R on December 8th 2018. The Libourne - Bergerac - Sarlat line was suspended on 2nd January until September for rebuilding. The €80 million project will see most of the section from Le Buisson renewed with the section from Bergerac to Libourne completely rebuilt. Occitanie Region TER who now provide the Ligne des Cevennes services are offering EVASIO 1 EURO tickets on the Cevenol route. Journeys need to either start or finish at an Occitanie Region station. Journeys only within Auvergne attract normal fares. Frontier station is Langogne. Consult TER Occitanie web site for conditions. On the Cevenol route, a variable number of 1 euro tickets per train are available only for purchase on internet, a maximium 3 weeks ahead of date of travel, valid date of travel, not changeable or reimbursable. 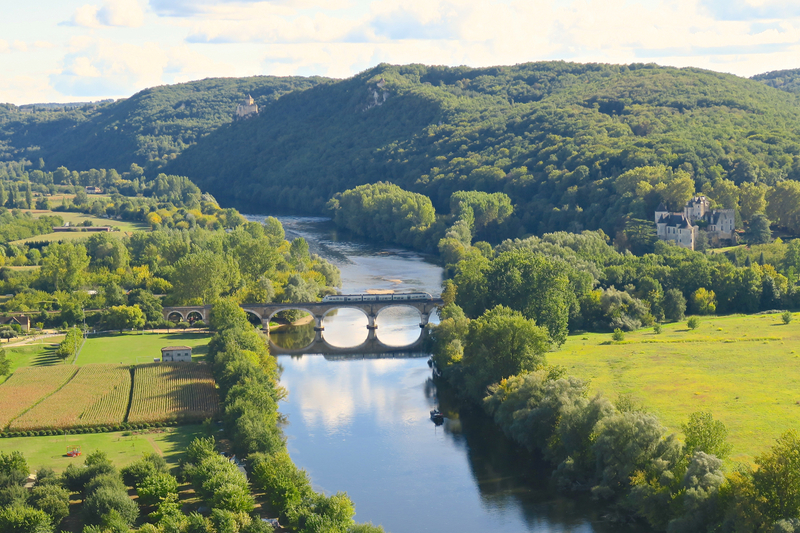 Until 31st March the Auvergne-Rhône-Alpes Region is offering a 50% discount on all journeys to the three stations, departing from all stations in departments 03, 15, 43 or 63. Rail travels can also obtain a 30% reduction on ski passes. Only Le Lioran is now on the rail network, the other two stations being served by buses. BFC council has decided to cancel the long oustanding project to electrify this short 17 km line that is partly single and mechanically signalled. The manually operated level crossing at Appoigny will be replaced with an automatic crossing. The mechanical signalling will remain at present. Auxerre - Paris-Bercy, and Dijon - Auxerre services will continue to be operated with bi-mode AGC 3 and 4-car units. 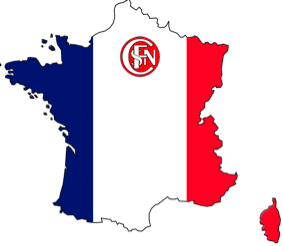 The French Government has issued a Prior Information Notice (PIN) informing potential operators that it will be putting the operation of the Nantes - Bordeaux and Nantes - Lyon services up for competitive tender. The formal tender process will not commence for another year and is not expected to be completed until 2022. The PIN will give potential bidders the opportunity to consider how they could improve services and lower costs. The tender for the two routes will also provide a test-bed for future competitions including the much larger TER networks. The two services in the PIN are currently operated by SNCF on behalf of the Government as Intercité services under the Trains d’Equilibre du Térritoire agreement. They carry over a million passengers a year and require a subsidy of €25 million. The two routes share a fleet of 15 Alstom Coradia Liners that will be available to the successful bidder. The Paris RER network often faces delays as it struggles with antiquated equipment, suicides and other problems.Teething problems with software in the new signalling centre at St Denis have recently (on two occasions) misdirected Regiolis units from Laon into the RER B/D tunnel at Gare du Nord. At Fontainebleau on RER Line R delays were caused when a camel escaped from a circus and grazed the railway embankment. Northbound departures from Marne-la-Valée will be at 12:04 and 20:04 and southbound from Amsterdam at 07:15 and 15:15. 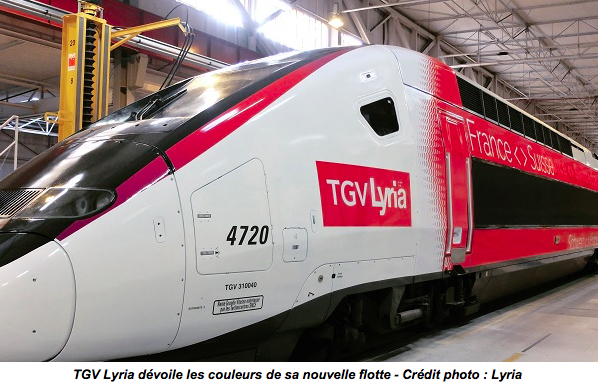 During 2019, Lyria* will replace the fleet of 19 POS Lacroix single deck TGV's with 15 Euroduplex TGV 2N2 3UA Type 4700 units. These double deck TGV's were built in 2012-2013. They are tri-current and adapted for Swiss signalling. Lyria has decided to change its livery. The Euroduplex units nos 4715 - 4730 will be delivered at a rate of 2-3 a month. In the attached photo, 4720 is shown completed on January 18 with the new livery. * TGV Lyria operates services from Paris Gare de Lyon to Geneva, Lausanne, Bâle and Zurich. Lyria is a joint venture with SNCF Mobilités and CFF/SBB. The Minister of Transport has called for a battle plan to safeguard each individual rural ine. A prefect François Philizot, who has already worked on the transfer of Intercité services to the regions and on the future of the Paris-Toulouse line, will work with each region and develop a technical and governance solution for each line. Tired of seeing rural lines become too dilapidated, the Minister is looking for innovative operating schemes, which may, if necessary, also lead to adapting regulations. Initial proposals are expected in April with a report to Parliament before the end of June, in accordance with the Railway Reform Act passed last year. The plans will cover 9,137 km, 32% of the national network. 39% see fewer than 10 trains a day and only 24% over twenty. Transilien Line R - Paris - Morez - Montargis. Introduction of the Bombardier Régio 2N unit (Z 57000) on this long, outer suburban route. 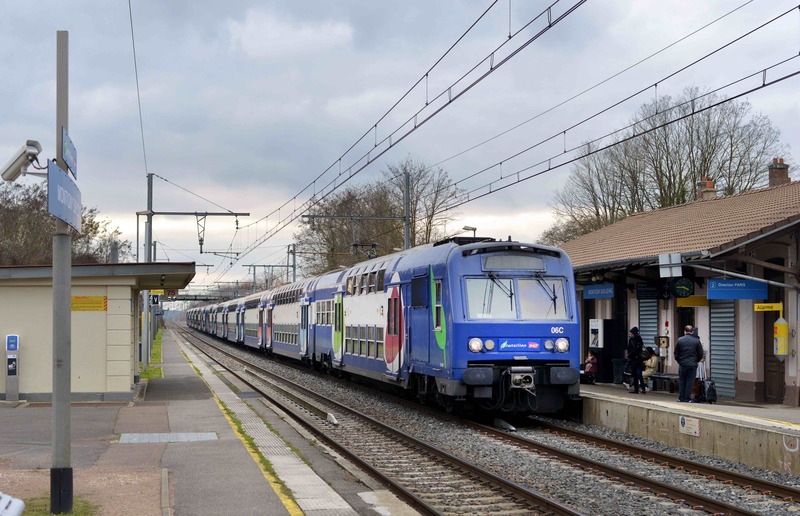 At the end of 2018, a total of 30 double-deck Regio 2N trains had been delivered for Line R (branches to Montereau) and 12 more will be delivered by April/May 2019. These will replace Z 5600 6 car sets which are the oldest double deck emu's in service, introduced in 1983 (1500v). Photo below at Montigny-sur-Loing on January 7, by D Michel Costes. Mantes-la-Jolie - The station at this busy junction in the Seine valley will be drastically modified in connection with the arrival of the new RER E services in 2024. Currently Mantes-la -Jolie is terminus for Transilien line J (Saint-Lazare, Poissy) and Line N (Versailles-Chantiers, Montparnasse). The Paris - Rouen - Le Havre and Paris - Caen - Cherbourg trains pass through the station to a junction "on the flat" at the west end. There are 7 platform lines. - modernisation of the station building on the north side and creation of a new building on the south side to be connected by two pedestrian bridges (one new) for access to the platforms. - creation of a flyover to carry Cherboug, Caen traffic over the Le Havre line in the direction of Poissy, Paris Saint-Lazare. Modification of the track layout, new signalling. RER line D - 12 Regio 2N trains will be delivered next autumn for the RER D branch Juvisy - Corbeil - Malesherbes and Melun - Corbeil. The Z 20500 fleet of 128 trains will be renovated starting this spring, as previously reported. The renovated units will be delivered starting in July at a rate of 2 per month. 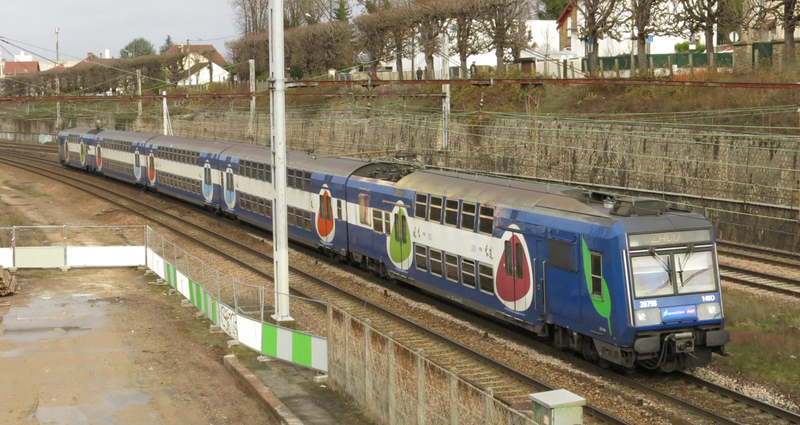 The present livery of Transilien blobs (photo, below Brunoy, Dec 8 2018) will be replaced with Ile-de-France Mobilité livery in blue, grey and silver. Saint Lazare - Delivery of the Francilien Z 50000 emu is now at the rate of 3 units per month. At the end of 2018 a total of 240 Francilien units had been delivered. Watch for many temporary line closures this year on Ile de France lines particularly at week ends. The overhead catenary is due to be replaced this year between Paris Austerlitz and Bretigny on RER C ( 180 km of overhead wires ). The section north of Juvisy will be renewed during the summer. The new "suite rapide zone dense" (track replacement train) is scheduled to renew 80 km of track during 2019 on 4 sites in Ile de France; Line P Verneuil l'Etang - Nangis (15 km), Line H Persan Beaumont - Creil (31 km), Line J Ermont - Bois Colombes (10 km), Line C Pont-de-Rungis - Massy-Verrières and Lardy - Bibliothèque (total of 24 km). 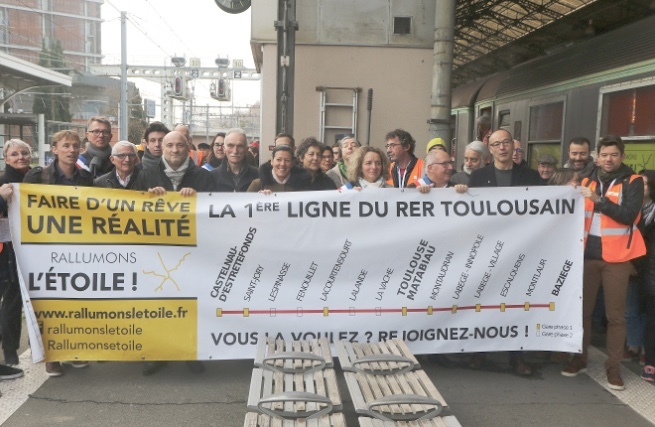 Le Train Historique de Toulouse (ACPR) became an RER, temporarily ! Last December, ACPR operated a special train for a local action group of citizens called "Rallumons l'Etoile" ("Lets relight the Star !"). The "Star" in this case is the form of the suburban rail network around the central station of Toulouse-Matabiau. At present, all the regional train services (TER) start or terminate at the central station which becomes congested at peak hours. Several different projects have been proposed to make the suburban rail network more efficient and frequent, an RER, in fact. Some envisage creating "cross centre" services that would pass through the central station towards an outer suburban terminus. These plans have been around for many years without much progress. SNCF is reported to be sceptical on the subject. A recently created group "Rallumons l'Etoile" has focused on action to develop one particular north/south route from Castelnau-d'Estrétefonds (on the line to Montaubon) to Baziège (on the line to Castelnaudry and Narbonne). The group chartered the historic 6 carriage ACPR rake hauled by BB 7338. It was Dec 15th, the Saturday before the first Père Noel train so the carriages were already seasonally decorated. Departure from Castelnau-d'Estrétefonds was at 08.50 and there were 8 stops where locals and mayors could board. At Toulouse-Matabiau, the group unrolled the banner for the press and local TV (photo). Arrival at Baziège was at 10.07 followed by speeches. The Occitanie Region representative confirmed that an official feasability study would be started in January 2019. Meanwhile ACPR was obliged to run the special "RER" empty for 32 km to Castelnaudry in order to transfer the locomotive to the front of the train. Then, back to pick up the passengers at Baziége for the return leg. Effective publicity for the idea but many hurdles to cross. Some investment in new track at the termini will be necessary, and enlargement of car parks for "Park & Ride". 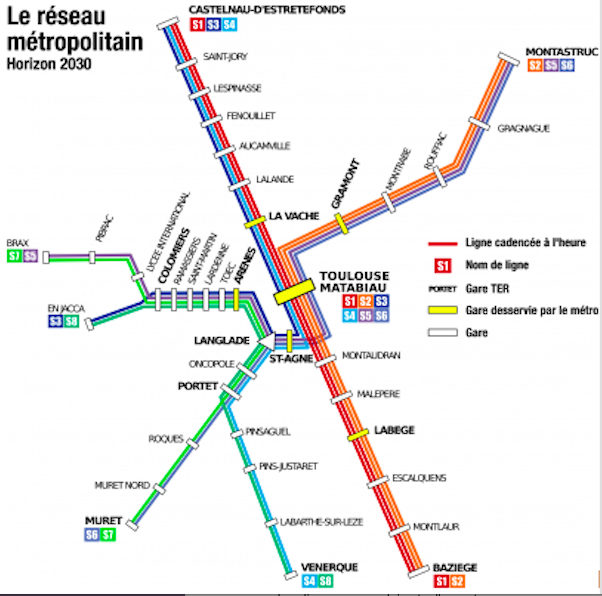 Examples of future RER stops ? At Monlaur, a village of 1500 inhabitants 19 km south of Toulouse, the passenger building is a private residence and there are currently just 2 small sheltors on the low platforms. At Lacourtensourt, (opened 1856), 6 km north of Toulouse-Matabiau, there are 3 tracks, and potentially a fourth one if the Bordeaux - Toulouse LGV is built. A fruitful time of day to visit Moulins (Allier 03) is between 11.00 and 11.45 when there is a flurry of activity, with north and southbound loco-hauled Corails on Intercité workings between Paris Bercy and Clermont Ferrand, which frequently occupy adjacent platforms simultaneously, and crosscountry Inter-cité diagrams between Nantes and Lyon running in both directions about half an hour apart. A visit on January 3rd revealed that the latter trains are now firmly in the hands of brand-new Alstom Coradia bi-mode units: the south-east bound one runs with pantographs up at far as St. Germain des Fossés then on diesel power for the Rampe des Sauvages. The Lyon-bound train was set B85053, while the Nantes train had B85041. The southbound train no. 5955 (09.01 ex-Bercy) produced a surprise. The working is normally in the hands of a Sybic 26000 class, but a bright yellow Infra-liveried 22403 had been substituted arriving on time. This loco was one of the batch used for Channel Tunnel workings. Northbound train 5966 had Sybic 26039. Once the Clermont Intercité has left, it’s followed by a TER stopping service for the same destination, On this date it was a Regiolis set B84629. There’s a path for a freight working to follow the TER train, but I had to leave, and only caught a glimpse of a train of empty timber wagons behind a centre-cab diesel in a blue private operator livery. Photos and text Chris Gwilliam.